A 5-day workshop about dramatic presentation of close-up. 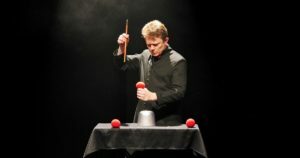 Our guest teacher is Joachim Solberg (Denmark) in advanced sleight of hand. Additional lessons are given by Tom Stone in misdirection and Peter Rosengren in personal evolution. 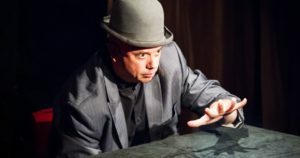 A 5-day workshop about finding one's own unique voice and expression in stage magic. 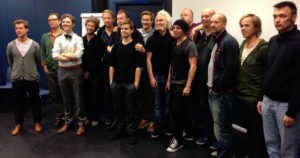 As our guest teacher, we have the theater director Magnus Nylander (Sweden), backed by Tom Stone & Peter Rosengren. This 5-day workshop is about layered misdirection, weaving narratives and finding cognitive 'shadows'. As our guest teacher, we have Tommy Wonder (Holland), backed by Tom Stone, Peter Rosengren & the theater director Magnus Nylander. 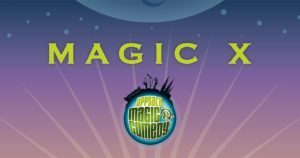 This 5-day workshop is for magicians up to 18 years of age, and deals with stagecraft and basic theatrical technique. 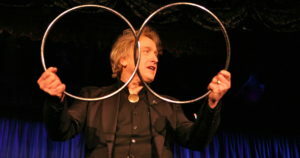 Our teacher is Leif Olberius, who have had a dual career as both magician and actor. This 5-day workshop will deal with the dramatic presentations for close-up and parlour. Our guest teachers are Tom Stone who will guide you through excersises in advanced misdirection, Magnus Nylander in dramatic structure, Malin Nilsson in visualization and Peter Rosengren in personal evolution. This is a 5-day workshop, with coaching in advanced misdirection techniques, voice and breathing techniques and dramatic structure. Our teachers are Peter Gröning and Tom Stone. 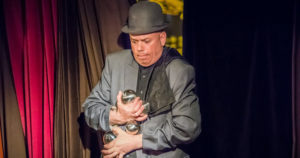 This 5-day workshop will deal with the dramatic presentation of big and small illusions. 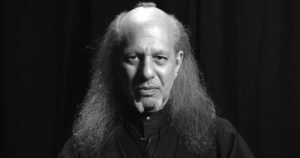 As our teacher, we have Jonathan Pendragon (USA) who will guide you through excersises in blocking, in creating a persona and how to find an original expression. Magi 1 given at DOCH, Stockholm, is Europe's first credited university education in magic. Magic 1 given at DOCH, Stockholm, is Europe's first credited university education in magic. Magic 2 given at DOCH, Stockholm, is Europe's first credited university education in magic. 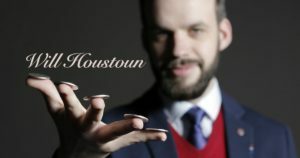 Dr Will Houstoun is a highly regarded British conjurer who has completed a PhD in Victorian Conjuring. 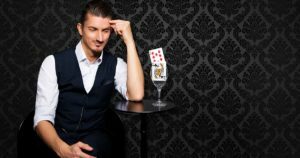 During this lecture Will will teach a selection of card and coin magic that is suitable for close-up and parlour. 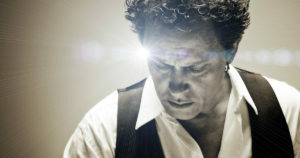 Wolfgang Moser will share some his favorite effects for close-up and stage, and also reveal his most versatile tool he uses in many of his routines. Magic X is an inofficial continuation of the university courses Magic 1 and Magic 2 that were given at DOCH. 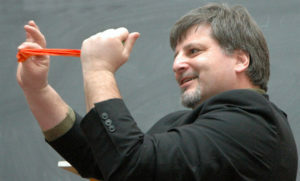 This is a hands-on workshop in conjuring, led by Tom Stone and Tim Star. 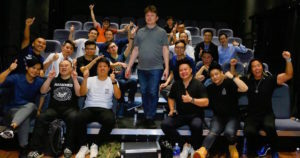 This is a hands-on misdirection & creativity workshop in Hongkong, led by Tom Stone. 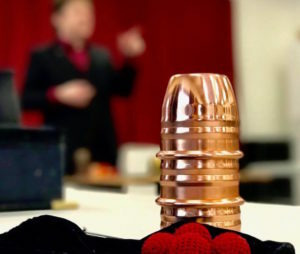 A three day workshop in Stockholm about the creation of artistic & deceptive magic. A three day workshop in Gothenburg about the creation of artistic & deceptive magic. A three day workshop in Oslo about the creation of artistic & deceptive magic. 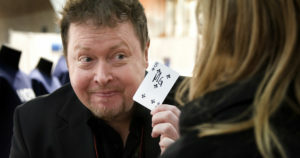 A two day workshop in Stockholm about the application of acting techniques in magic. 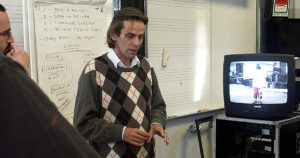 Instructor: Leif Olberius. 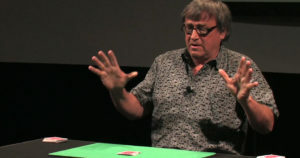 A three day workshop in London about the creation of artistic & deceptive magic.